ThoughtOffice Expert Dealmaker is your key to developing effective solutions when faced with conflict, disagreement, or just plain old incompatibility between two people. Expert Dealmaker helps you identify the motivating interests that underlie the argument. 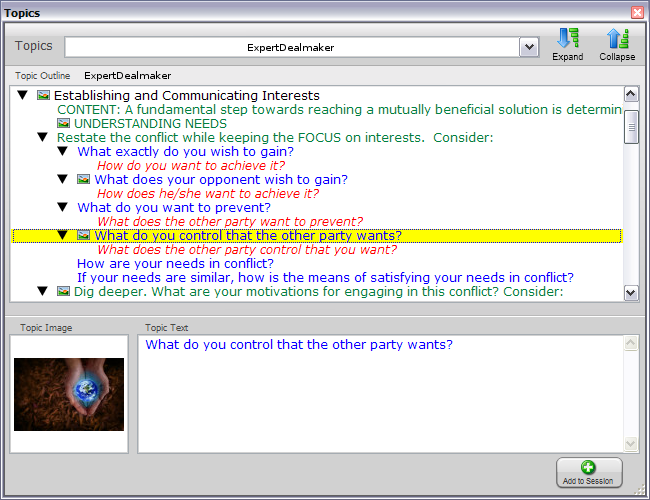 The module will also help you illuminate the true causes of the dispute, and allow you to predict the areas of greatest disagreement, before conflict turns to conflagration.